arī līdzīgi kā pagājušogad, arī LU Botāniskajā dārzā (raksti šeit un šeit). The blouse is really pretty! I really like this shade of pink. Gorgeous photos! I love this pretty, summery look. 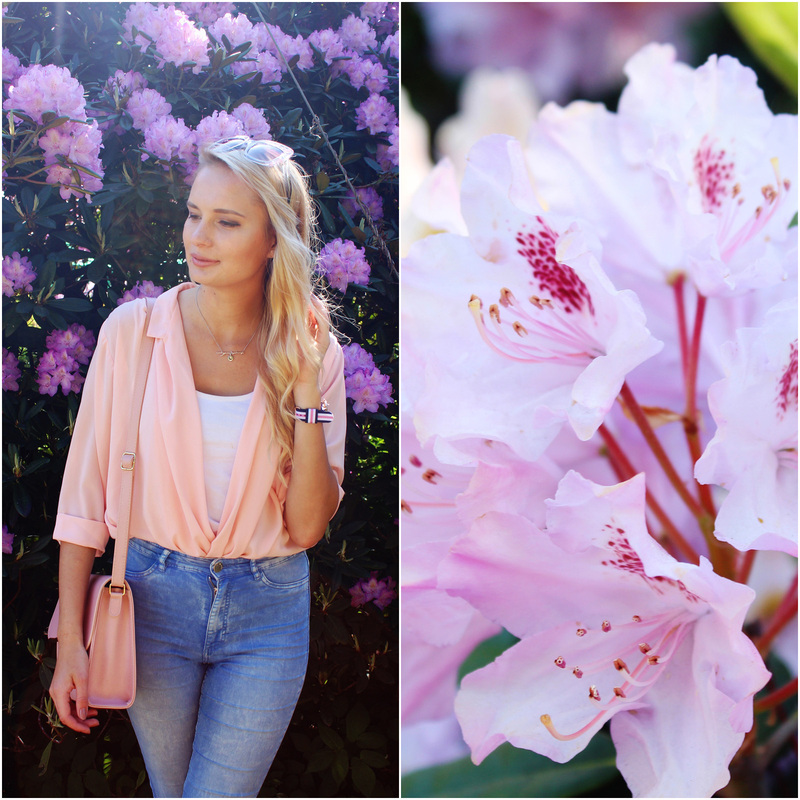 Pale pink looks fabulous on you! And that matching bag? Perfection! 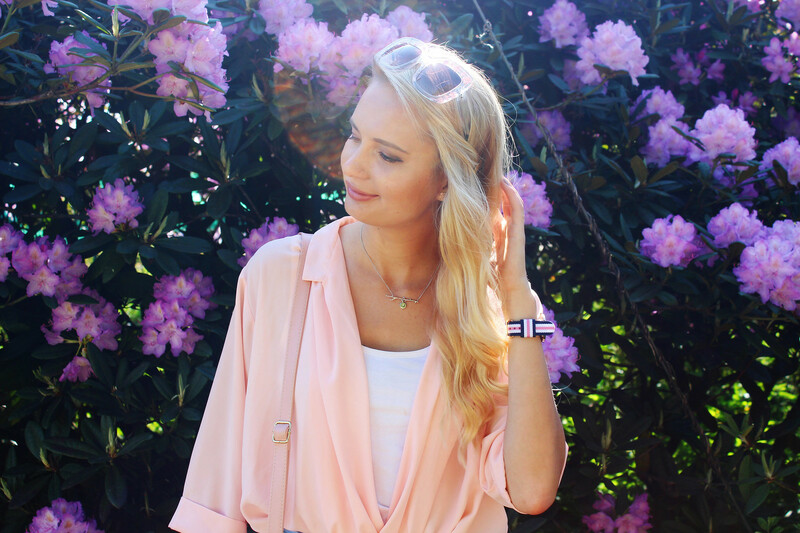 Love the blouse and bag…Lovely pinks. Such a beautiful look, I think white plataform sandals would look even better than the sneackers you're wearing. I love your shirt it's absolutely beautiful. You are so pretty and these photos are beautiful! you make peach look so so pretty!! Wow it looks so beautiful there and what an amazing location for your pretty photos. 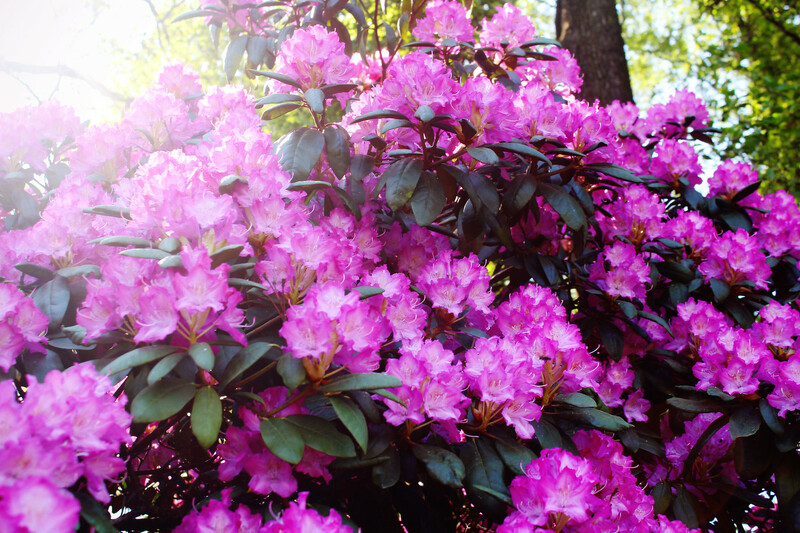 Spring sure is a wonderful season. It is winter here but luckily it is the warmest winter I can remember. 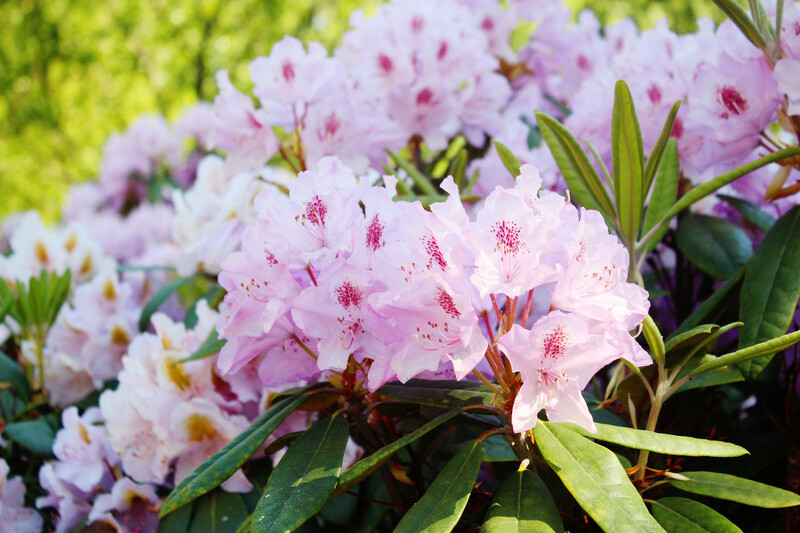 Those flowers…ahhhh so beautiful!! Such gorgeous photos. 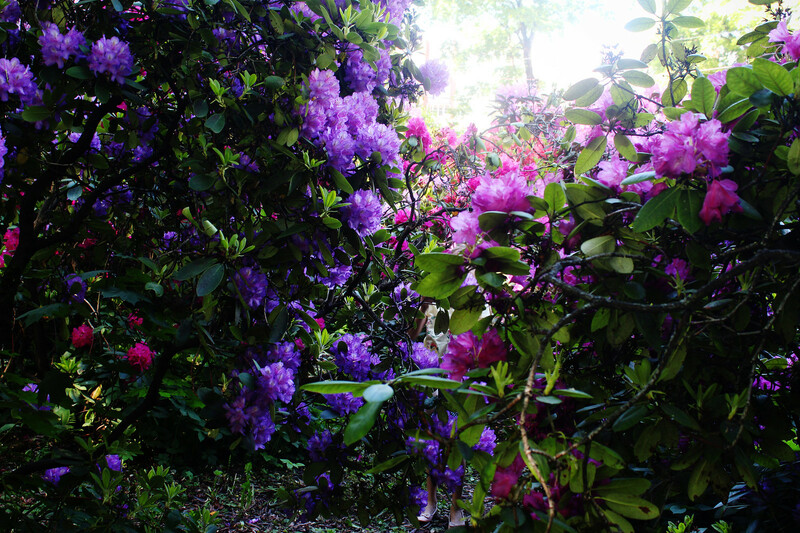 Yeah, the rhododendrons were surely breathtaking <3 Thank you Jenna!